Fun, talented, professional, honest , experienced artists from coast to coast. Bringing a creative fun touch to private and public events! Checkout some of our past clients . Ask about our Black light UV paint for your airbrushed favors ! Welcome to The Gallery ! Airbrushed Favors welcomes you to look around! Airbrushing at events is our specialty! Live Airbrush painting . Sure to please and entertain everyone at your event ! 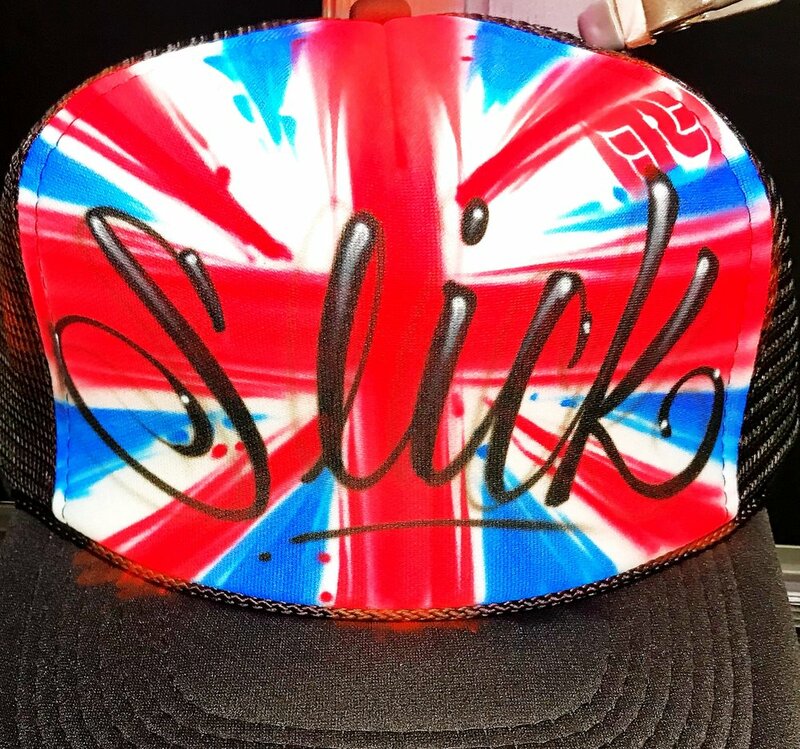 Airbrush Custom painted hats for Royal Enfield at the OG Moto show LOS Angeles. This was a great event! Airbrushing in denim , shirts , tote bags , and many other Levi's products. Malibu California is always beautiful. Airbrushed custom hats at the OG Moto show in Los Angeles. Many custom motorcycles here. Airbrushing on denim jackets for Coachella. Levi's VIP event. Palm Springs California. 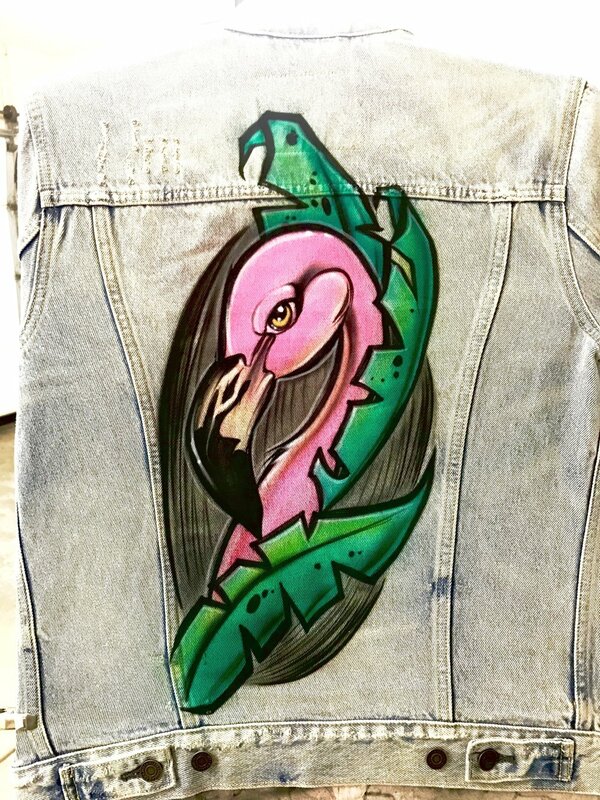 Custom art on denim Jackets , Jeans , and other Levi’s products . Custom airbrushed art on denim Levi’s jackets . Levi’s Haus of Strauss , Hollywood. Airbrushed trucker hats UV blacklight paint . Art Rebel . 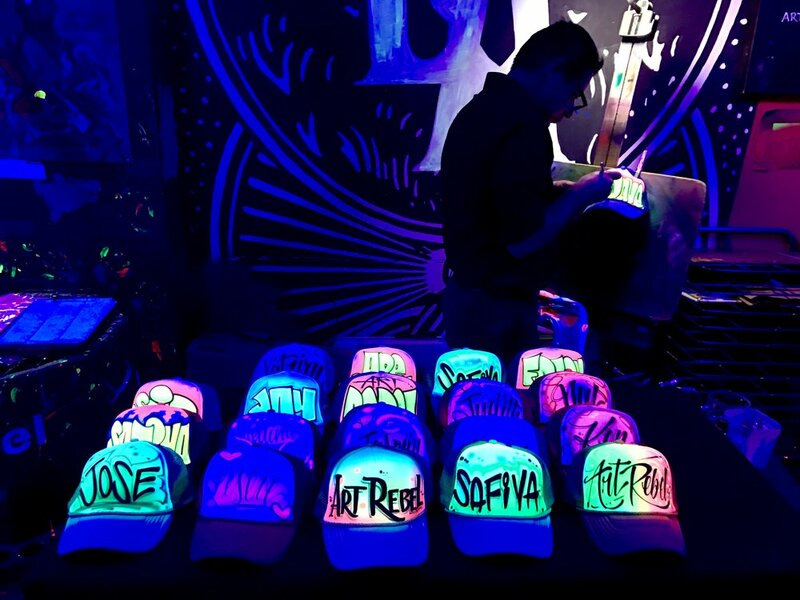 Custom Airbrush Trucker hats with Blacklight UV paint . At Art Rebel . Live airbrush entertainment at a school carnival . Airbrush trucker hats at a pool party . Painting at the Camarillo Levi’s outlet store for a back to school airbrush event . Our team of professionally trained artists as well as assistants are amongst the top of our industry. Each individually picked and vetted to meet our high standards of professionalism and skill. We are a family of tightly knit friends connected by the desire to please our clients above and beyond what is typical. Call or text : 512-593-2509 for further information . Book us for your event ! If your event is a multi day event please note the dates. Address or link to your event venue if you have it. If you don't have a venue yet no problem , a city or neighborhood approximation would be just fine. What time would you like us to start painting at your event ? 3 hours minimum for our regular rates . Each artist is able to paint between 15-20 items per hour . Each artist is able to paint between 15-20 items per hour. Example : Corporate event , Marketing , Barmitzvah , Birthday Party, or anything else. What Item (s) would you like us to paint? *We suggest picking no more than 2 items as more items slows down the ordering process *We paint on white fabric items *You are always welcome to provide your own items as long as they are white or very light pastel colors. Parents (Bar and Bat Mitzvah’s , Birthday Parties , Quinceañera’s , Sweet 16 , Graduations , and more. Airbrushed Favors Made our party a hit! The kids loved it! 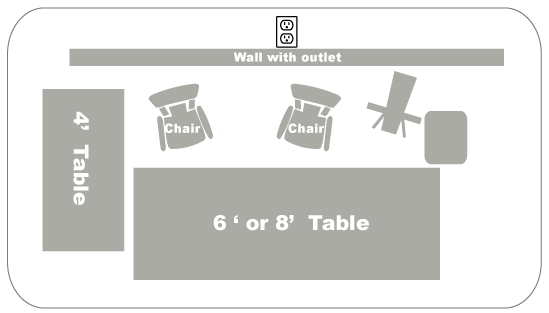 Labeled items are items clients would provide to make our setup optimal. However we can work without these items if notified before the event date. You still have a very specific question ? No problem , please go ahead and send us an email . Copyright © 2018 Airbrushed Favors - Sugarcane Studios Inc.